Marilyn, August 1953. on the set of "River of No Return.". 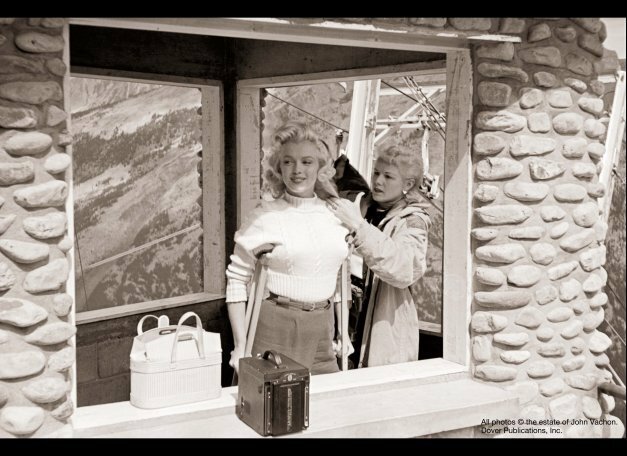 Wallpaper and background images in the Marilyn Monroe club tagged: marilyn monroe monroe photoshoot 1953 river of no return john vachon. This Marilyn Monroe photo might contain draaideur, revolver, teken, poster, tekst, bord, schoolbord, and diner.